What Is Going On With Germany’s Cannabis Bid? 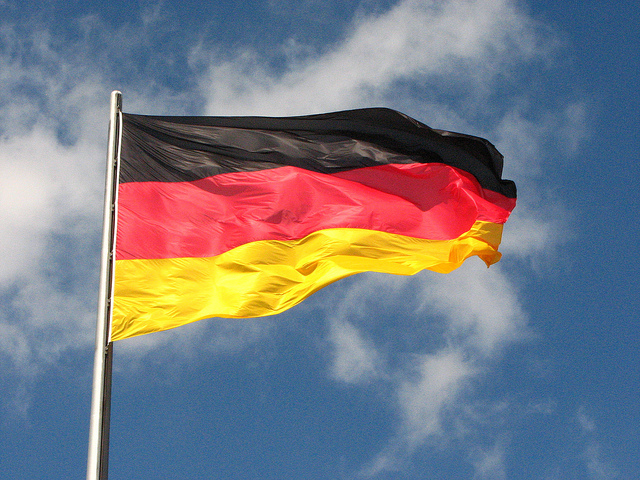 Germany is proceeding down the path to officially grow its own medical cannabis crops. Medical use became legal this year, along with a federal mandate for cheap access. That means that public health insurance companies, which cover 90% of Germans, are now firmly on the hook if not front line of the cannabis efficacy issue. As such, Germany’s medical market is potentially one of the most lucrative cannabis markets in the world, with a total dollar amount to at least challenge, if not rival, even California’s recreational market. Some say Canada’s too. However, before “home grow” enthusiasts get too excited, this legislative move was an attempt to stymie everything but commercial, albeit medical production. Not to mention shut off the recreational discussion for at least another four years. How successful that foray into legalization will be – especially given the chronic shortages now facing patients – are an open question. Not to mention other infrastructural issues – like doctor unfamiliarity with or resistance to prescribing cannabinoids. Or the public insurers’ so-far reluctance to cover it even though now federally mandated to do so. Regardless, Germany decided to legalize medical use in 2017 and further to begin a sanctioned domestic cultivation for this market. The decision in the Bundestag to legalize the drug was unanimous. And the idea to follow UN regulations to establish this vertical is cautiously conservative but defendable. Very predictably German in other words. Since then, however, the path has been far from smooth. Much less efficient. In April the government released its tender bid. And no matter how exciting it was to be in the middle of an industry who finally saw a crack of light, there were also clouds to this silver lining that promised early and frequent thunderstorms on the horizon. By the time the tender bid application was due in June, it was already clear who the top firms were likely to beIn fact, by the end of the ICBC conference, which held its first annual gathering in Berlin at the same time the bid tender was announced, the controversy was already bubbling. The requirements of the bid, for a laughably small amount of cannabis (2,000 kg), mandated experience producing high qualities of medical marijuana in a federally legitimate market. By definition that excluded all German hopefuls, and set up Canada and Holland as the only countries who could provide such experience, capital and backlog of crop as the growing gets started. The grumbling from Germans started then. However, so did an amazingly public race to gain access to the German market directly – by acquisition or capital expenditures that are not refundable easily (like real estate or even buyouts). The common theme? They were large amounts of money being spent, and made by major Canadian Licensed Producers who had the right qualifications to meet the standards of the bid. In fact, by the time the tender bid application was due in June, it was already clear who the top firms were likely to be. They were the only ones who qualified under the judging qualifications. And while nobody would commit publicly, news of the final decision was expected by August. Several Canadian LPs even issued press releases stating that they were finalists in the bid. But still no news was forthcoming about the official list. A month later, as of September, and there was still no official pronouncement. Nor was anybody talking. BfArM, the regulatory agency that is supervising this rollout as well as the regulation of all narcotic drugs (sort of like a German version of the FDA) has been issuing non-statement statements since the late summer. Aurora, however, one of the top contenders for cultivation here, was quietly issued an ex-im license by both Canadian and German authorities. Publicly, this has been described as an effort to help stem the now chronic cannabis shortage facing patients who attempt to go through legitimate, prescribed channels. On the German side, intriguingly, this appears to be a provisional license. Privately, some wondered if this was the beginning of a backdoor approval process for the top scoring bid applicants for cultivation. Although why that might be remains unclear. Whispered rumours by industry sources that wish to remain anonymous, have suggested that the entire bid is still hanging in jeopardy. Late in the month, rumours began to fly that there were now lawsuits against the bid process. Nobody had much detail. Not to mention specifics. But CannabisIndustryJournal can now confirm in fact that there have been two lawsuits (so far). The summary of the complaints? It appears that two parties, filing with the “Bundeskartellamt” (or regulatory office focusing on monopolies and unfair business practices) did not think the bid process or scoring system was fair. And both parties also lost. But as of mid-October, there is still no public decision on the bids. What gives? Whispered rumours by industry sources that wish to remain anonymous, have suggested that the entire bid is still hanging in jeopardy. Even though the plaintiffs failed, some have suggested that the German government might force a complete redo. Others hint that it will likely be slightly revised to be more inclusive but the regulatory standards must remain. If a redo is in the cards, will the German government decide to increase the total amount of yearly cannabis to be delivered? At this point, it is only calling for 2,000 kg per year by 2019. And that, as everyone knows, is far too little for a market that is exploding no matter the many other obstacles, like insurance companies refusing to compensate patients. What Is Behind The Continued Delays? There are several theories circulating the higher levels of the cannabis industry internationally right now even if no one is willing to be quoted. The first is that the total number of successful applicants, including the recent litigants, will be slightly expanded, but stay more or less the same. There is a high standard here for the import of medical cannabis that the Germans intend on duplicating domestically. The Comprehensive Economic Trade Agreement (CETA – the often controversial free trade alliance between Europe and Canada) is still in the final stages of approval.The second is that the German government will take its time on announcing the final winners and just open the doors to more imported product. This will not be popular with German insurers, who are on the hook to pay the difference. However with Tilray now on track to open a processing facility in Portugal and Canopy now aligned with Alcaliber in Spain, cross-continent import might be one option the government is also weighing as a stop-gap provision. Tilray, who publicly denied in the German press that they were participating in the cultivation license during the summer, just issued a press release in October announcing a national distribution deal to pharmacies with a German partner – for cannabis oil. But then there is another possibility behind the delay. The government might also be waiting for another issue to resolve – one that has nothing to do with cannabis specifically, but in fact is now right in the middle of the discussion. The Comprehensive Economic Trade Agreement (CETA – the often controversial free trade alliance between Europe and Canada) is still in the final stages of approval. In fact, on September 19, a prominent German politician, Sigmar Gabriel of the Social Democrats (SPD) made a major statement about his party’s willingness to support Germany’s backing of the deal. It might be in fact, that the German government, which is supportive of CETA, got spooked about the cannabis lawsuits as test trials against not cannabis legalization, but a threat to the treaty itself. Quality control, namely pesticides when it comes to plant matter, and the right of companies to sue governments are two of the most controversial aspects of this trade deal. And both appear to have risen, like old bong smoke, right at the final leg of closing the cannabis cultivation bid. Will cannabis be seen as a flagship test for the seaworthiness of CETA? On a very interesting level, that answer may be yes. And will CETA in turn create a different discussion about regulatory compliance in an industry that has been, from the beginning of this year, decidedly Canadian-Deutsch? That is also on the table. And of great concern to those who follow the regulatory issues inherent in all. Not to mention, of course, the industry itself. Right now, there are none to be had. However at present, the German bid process is several months behind schedule as Canadian producers themselves face a new wrinkle at home – the regulation of the recreational crop in the provinces. It is also clear that there are a lot of questions and not a whole lot of answers. Not to mention a timeline when the smoke will clear.